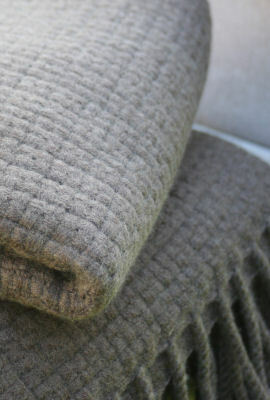 Luxury Cashmere Throws are often used by many designers to add that special finishing touch. The good ones look great and feel fantastic. As well as being aesthetically pleasing a throw can also be functional – keeps you warm!Bearing in mind how often your client will interact with (touch/use) such an item over time it is very important to specify your cashmere throws properly. Of course you can buy them from very many places. But how do you get a really good one? I mean really good, the best? We have put together a series of designers’ worksheets. Here is a link to the main one <click here>. The worksheet goes through some of the things you should be looking for when coming to a decision on what to specify. When looking at specific designs you might then want to look at this worksheet. <Click here>. All the worksheets are listed here, <click here>. Hey! Interior Designer, why does no-one visit your web site? Interior Designers: how to pitch and win business. The higher ply gives a thicker and more luxurious feel, when combined with the quality of the yarn and the attention to detail. You would surely would want one of these.